I get the error "Cannot open System2C file" when trying to open. Might be an issue with my RTP installation, I'm not sure which version I have. I forgot to import a sprite sheet when making the build. Thanks for letting me know! I was pretty impressed with this, mostly for how much you were able to make in so little time. The timers (and presumably random order) was a really interesting approach too. Will you be attempting the 100 game challenge as well? Thanks! The games do come in a random order. The overall format is directly inspired by Wario Ware. When I was making this, I set a timer to go off every 4 minutes, and tried to complete each game in that amount of time, though most took a bit longer or a bit shorter than that. I cheated a little bit by counting the character select screen and the overall format of the game as individual games in themselves. 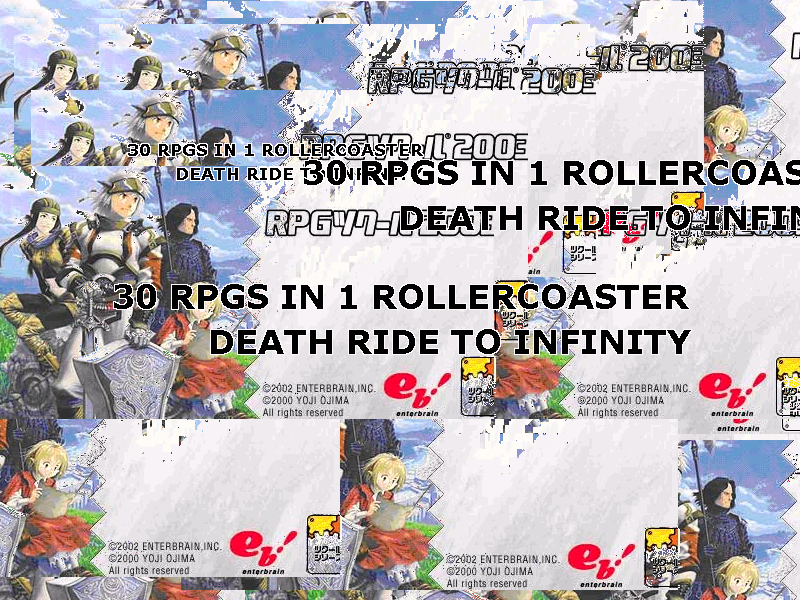 (There are actually only 28 of the mini games). The nice thing about RPG Maker is that it allows for an almost steam-of-conscious form of game development. None of these games were planned before hand. 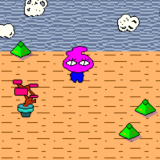 I usually started a game by quickly drawing a room, and then creating a character with some random dialogue, then continued from there in a sort of free-associative process. I tried to leave some time for play testing each game, but I only fixed bugs if they really annoyed me. 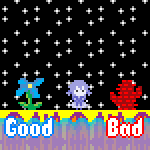 The nice thing about having a timer on each game is that I knew I didn't have to create a solid ending to each game. If I felt like my ideas weren't going anywhere or I was taking too much time on a given game, I would just stop and move on to the next one. This also meant that I didn't have to worry about tuning difficulty of the more adventure-game style puzzles, because the timer meant that the player would never get stuck. This was fun to do, but it was also exhausting. I plan to attempt the 100 game challenge, but I think I'll try to do it in a totally different way. Maybe not in RPG Maker. I like how you used partially the thing I did in Heart Pounding in this for the random game selection except you didn't have to press any buttons and it felt less confusing and more streamlined. I'm going to make a whole bunch of really quick games quicker than this. Haha can't wait to see what you do! lol I went too ambitious with my game and only got 13 levels! I'll try again sometime soon.